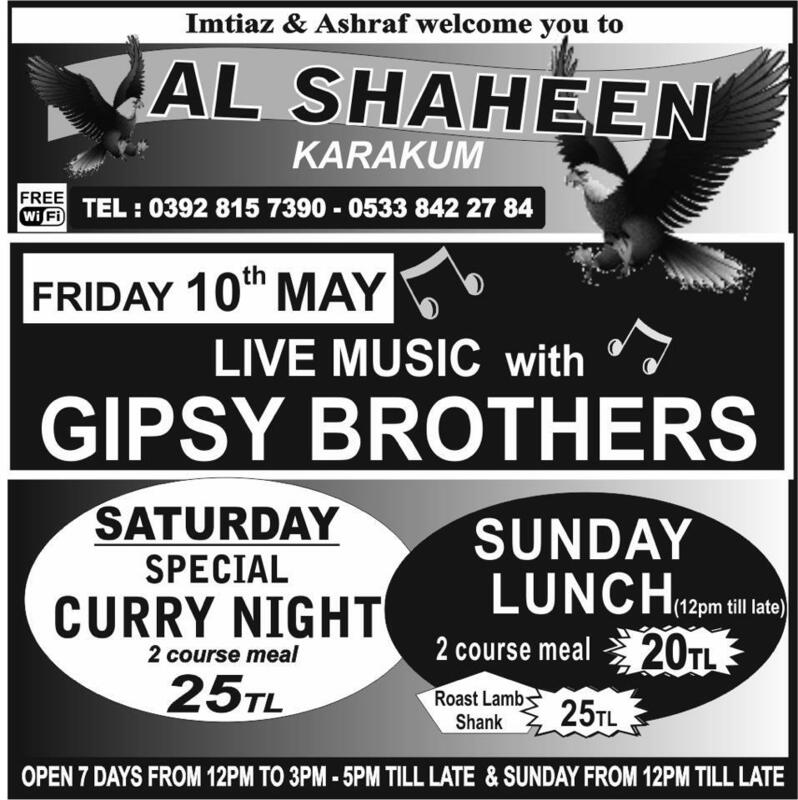 Here we have great news of the Gipsy Brothers who are coming to Al Shaheen on Friday 10th May to entertain you with their exciting live music. This will be a night not to be missed. Every Saturday at Al Shaheen is Curry Night with our choice of mouth watering 2 course meals for only 25tl. Make a date and come and join us for an evening with the flavours you enjoy. Chill out on Sundays ladies and let us make your day an easy day with our great choice of 2 course Sunday Lunches for only 20TL. Lets us also tempt you with our Roast Lamb Shank with all of the trimmings for only 25tl. This entry was posted in Special Events and tagged Al Shaheen, Gypsy Brothers, Live music, Saturday is Curry Night, Sunday Lunch by kyreniacommentator. Bookmark the permalink.